The black stars / Dan Krokos ; [illustrations by Antonio Javier Caparo}. Krokos, Dan, (author.). Caparó, Antonio Javier, (illustrator.). Physical Description: 304 pages : illustrations ; 22 cm. Publisher: New York : Starscape, a Tom Doherty Associates Book, 2014. 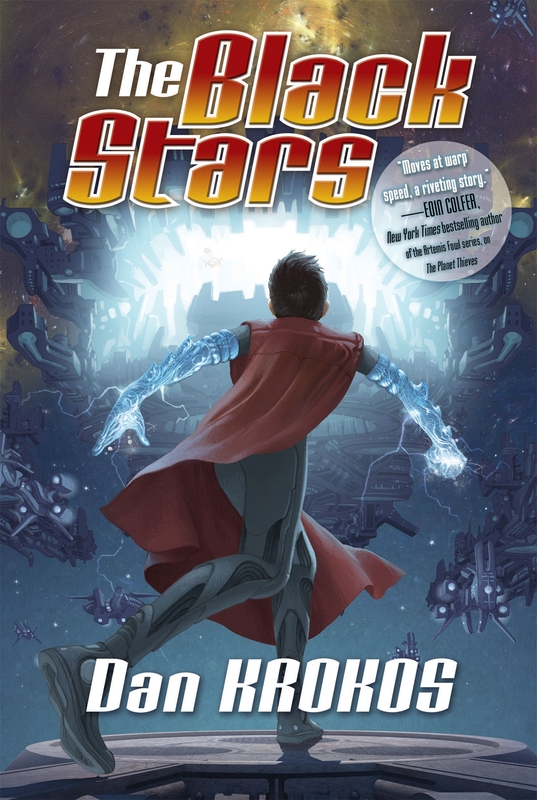 When Mason Stark's classmates start to disappear mysteriously and he discovers an ancient, powerful enemy, he calls on his friends--both human and Tremist--to fight as he once again must act as an intergalactic hero. Missing children > Juvenile fiction. Extraterrestrial beings > Juvenile fiction.